Scan of Dave de Roo - Thanks Dave!! 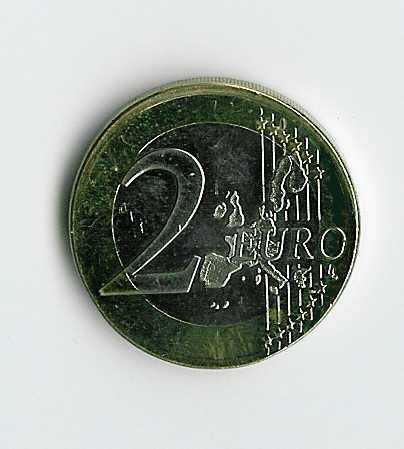 This is a 2 Euro 2002 Austria struck on a 1 Euro planchet. 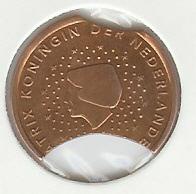 The middle of the coin is silver and the outside is gold like a 1 Euro coin. So this 2 Euro coin was struck on the wrong planchet. This error is rare. The images are provided by Sebastian R. Thank you again Sebastian!! 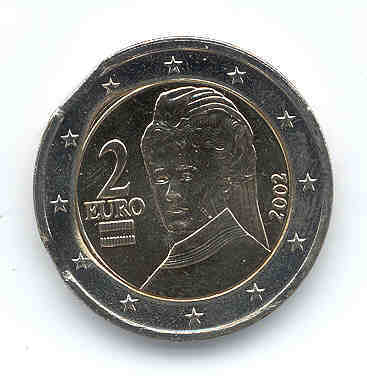 This is what Sebastian says: "the 2 Euro Austria struck on a 1 Euro planchet. If the people who work on the mint throw the 1 Euro planchets in the 2 Euro struck machine. But if that happen all these errors won't go in circulation. 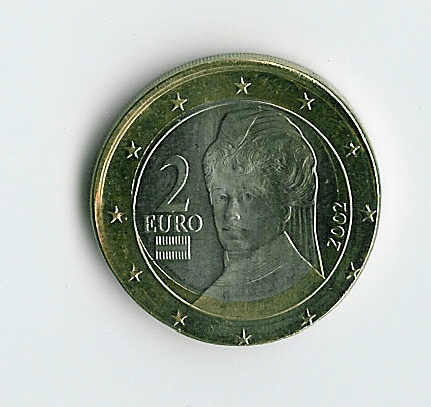 This 2 Euro Austria they didn't notice"